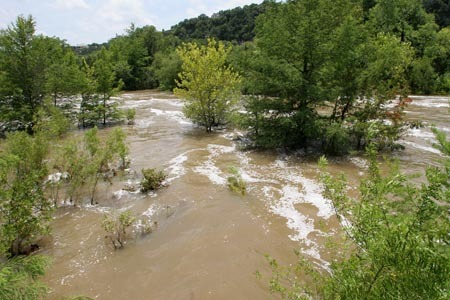 December 19, 2011: USEPA Water Headlines. On October 21, 2011, EPA published a proposed rule that would require concentrated animal feeding operations (CAFO) to submit basic operational information to the Agency. 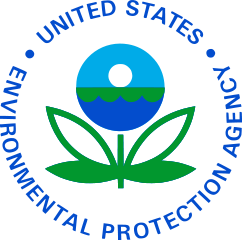 EPA received requests from the public for additional time to submit comments, and is extending the public comment period to January 19, 2012. EPA proposed the rule in order to more effectively carry out its CAFO permitting programs on a national level and ensure that CAFOs are implementing practices to protect water quality and human health. For information on the proposed rule, visit http://cfpub.epa.gov/npdes/afo/aforule.cfm. EPA’s Clean Water Act Section 319 Program provides funding for restoration of nonpoint source-impaired water bodies. Success stories are posted at: http://water.epa.gov/polwaste/nps/success319/. This week’s success spotlight shines on Fosdic Lake, Texas. In 1995, the Texas Department of State Health Services banned the possession of fish taken from Fosdic Lake in Fort Worth because of high concentrations of potentially-harmful chemicals in fish tissue. As a result, Texas added Fosdic Lake to the state’s list of impaired waters. In 2000, the Texas Commission on Environmental Quality and EPA approved a total maximum daily load for Fosdic Lake to address pollutants in fish tissue. Local, state and federal agencies coordinated data collection and education and outreach efforts in the city of Fort Worth to reduce the inflow of harmful chemicals into area lakes. Recent monitoring shows that the pollutant levels in fish from Fosdic Lake have diminished sufficiently to allow for their safe consumption, prompting the state to lift the fish possession ban in 2007. The Bureau of Reclamation and several state water agencies are conducting a multi-year study of water supply and demand in the Colorado River Basin. According to projections, demand will exceed supply by nearly 25 percent by 2060. The bureau is canvassing the publicfor ideas about how to rebalance the curves. Commentary: Negotiations have continued over many years to try and make the allocation of water more equitable. This entry was posted in Year 7 TDIWH and tagged Colorado River, drinking water, USEPA, wastewater, water, water supply on December 19, 2018 by safedrinkingwaterdotcom. September 30, 1936: Hoover Dam Dedication by U.S. Secretary of the Interior, Harold L. Ickes and President Franklin D. Roosevelt. Click HEREfor an audio recording of the dedication. 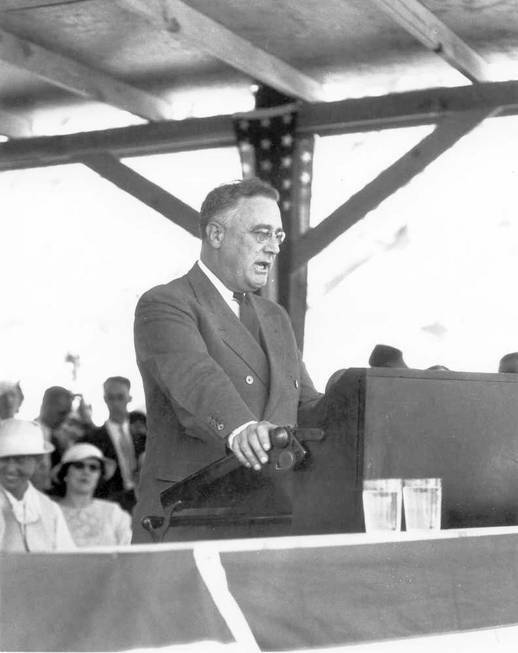 New York Times headline–President…Speaks at Boulder Dam. ”Standing on a platform perched high above the Colorado River at the eastern terminus of the great, towering Boulder Canyon Dam, President Roosevelt dedicated it today as a “splendid symbol” of employment-providing public works which he said have already given the necessary recovery spur to private industry while increasing the value of the nation’s resources.” Commentary: If we could only learn this lesson today. Building and replacing infrastructure would result in a better country and a huge boost to the economy. How can we get Washington to cooperate long enough to make this happen? 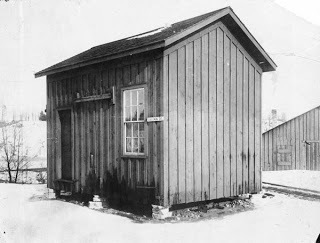 September 30, 1882– Paper manufacturer H.F. Rogers (Appleton, WI) opened the first hydroelectric power plant in U.S.at riverside paper mill on Fox River, in Appleton, WI (later known as Appleton Edison Light Company); powered by water wheel, provided 12.5 kilowatts, enough for 180 lights (ten candlepower each) to light Rogers’ home, plant. 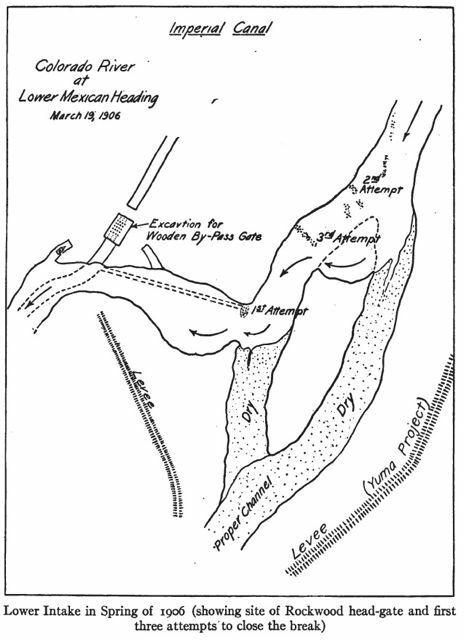 This entry was posted in Year 7 TDIWH and tagged Colorado River, Hoover Dam, hydroelectric power, infrastructure, President Roosevelt, Thomas Edison, water on September 30, 2018 by safedrinkingwaterdotcom. 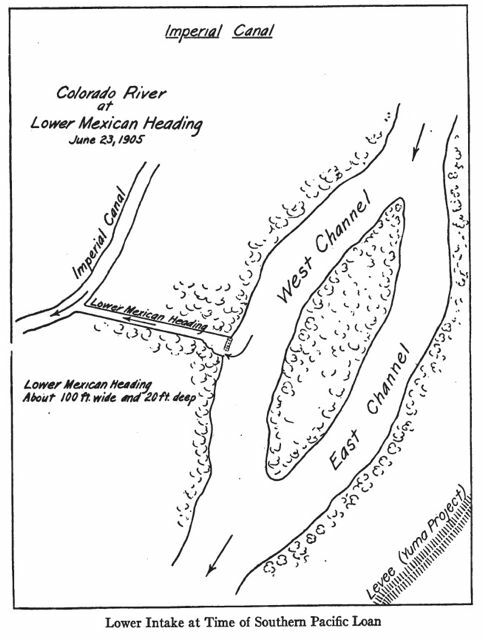 September 17, 1983: New York Times headline–Floods Along Colorado River Set Off a Debate Over Blame. “So much water is coursing through the Colorado River system that Federal engineers now say flooding will not end until September or later. It has been more than three weeks since engineers from the Federal Bureau of Reclamation first sent torrents of water crashing over dams to relieve reservoirs swollen by record runoff from late spring snows in the Rocky Mountains. Those spills pushed the Colorado over its banks in its worst flooding in decades, resulting in at least seven deaths and more than $12 million in property damage. 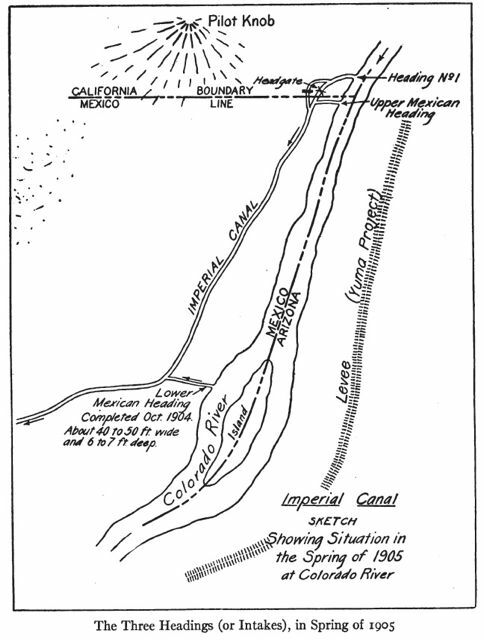 This entry was posted in Year 7 TDIWH and tagged Colorado River, floods, water, water history on September 17, 2018 by safedrinkingwaterdotcom. The Bureau of Reclamation and several state water agencies are conducting a multi-year study of water supply and demand in the Colorado River Basin. According to projections, demand will exceed supply by nearly 25 percent by 2060. The bureau is canvassing the public for ideas about how to rebalance the curves. This entry was posted in Year 6 TDIWH and tagged Colorado River, drinking water, USEPA, wastewater, water, water supply on December 19, 2017 by safedrinkingwaterdotcom. and President Franklin D. Roosevelt. Click HERE for an audio recording of the dedication. New York Times headline–President…Speaks at Boulder Dam. ”Standing on a platform perched high above the Colorado River at the eastern terminus of the great, towering Boulder Canyon Dam, President Roosevelt dedicated it today as a “splendid symbol” of employment-providing public works which he said have already given the necessary recovery spur to private industry while increasing the value of the nation’s resources.” Commentary: If we could only learn this lesson today. Building and replacing infrastructure would result in a better country and a huge boost to the economy. How can we get Washington to cooperate long enough to make this happen? This entry was posted in Year 6 TDIWH and tagged Colorado River, Hoover Dam, hydroelectric power, infrastructure, President Roosevelt, Thomas Edison, water on September 30, 2017 by safedrinkingwaterdotcom.